You obviously can try a variety of jam flavors in this recipe. When you are ready to go beyond jam, try chocolate-hazelnut spread or cookie butter. Colorful sprinkles make a great addition to the icing, if you have some on hand. Per Serving: 245 calories; 11g fat; 35.1g carbohydrates; 2g protein; 38mg cholesterol; 248mg sodium. These pot-tarts were fun and easy to make. Instead of using jam I made my own strawberry compote, but otherwise followed all of the recipe steps the same. 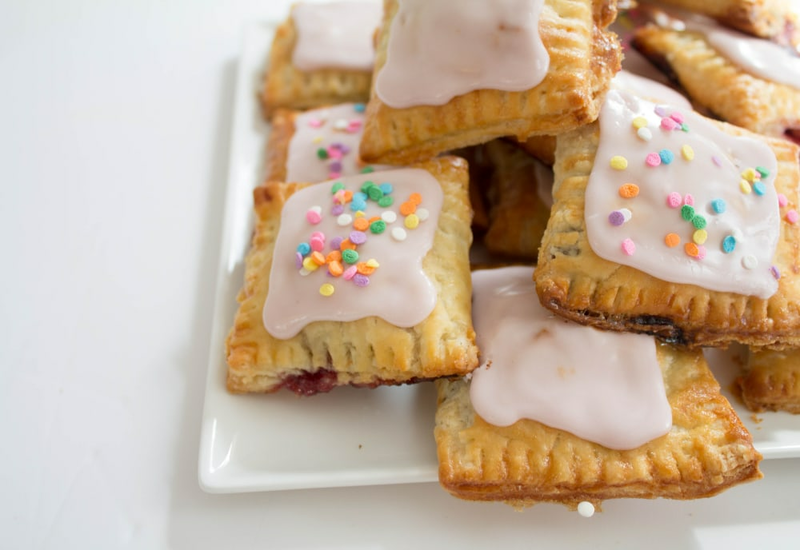 I really liked the icing and plan to make these again for Christmas breakfast. These toaster patties were a little labor intensive, but they turned out great and better than store bought. I used a mixed berry jam and it was really delicious. If I could skip making my own dough, I would definitely make these again. I made a double batch of these, they are really good. I used two different kinds of jam: raspberry and strawberry, both of which came out really well. I popped my extras in the freezer and they heat up in about 20 seconds, awesome!